(0 Customer Reviews) | Write Review 13 issues per year If you are interested in tractors and farm machinery then Profi International is the magazine for you with its in-depth technical articles, keeping you up to date on all the latest farm machinery news. 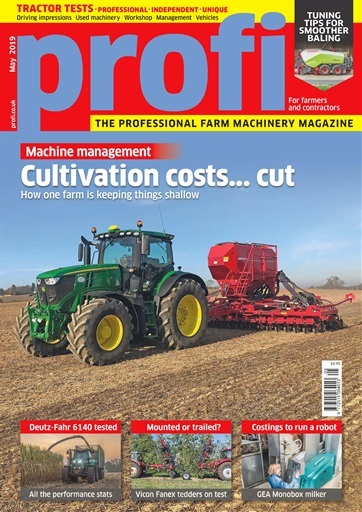 Profi magazine is the only monthly magazine assessing, scientifically testing, comparing and advising on tractors, machinery and ancillary equipment. Profi also advises on buying used equipment, and includes a wealth of practical and technical features to help readers get more from their existing machinery. Profi magazine also has a new workshop tips section and expanded classifieds! A subscription to Profi delivers you 13 issues per year. 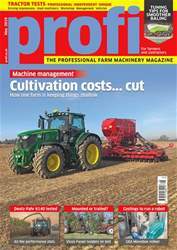 If you are interested in tractors and farm machinery then Profi International is the magazine for you with its in-depth technical articles, keeping you up to date on all the latest farm machinery news. You'll receive 13 issues during a 1 year Profi International magazine subscription. You'll receive 13 issues during a 1 year Profi International magazine print subscription.